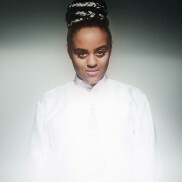 Music added to Seinabo Sey, Weekly Posts and tagged Acoustic, Change Your Mind, Madeleine, Original, Outlines, Pistols At Dawn, Rather Be, River, Seinabo Sey, Stockholm, Sweden, West Africa, You, Younger on February 23, 2015 by Hauke. Music added to Monthly Playlists and tagged Acoustic, Algebra Blessett, Anthony Hamilton, Bilal, Bill Withers, Billboard, Bo Saris, Don't Wait, Ed Sheeran, Halfway, I See Fire, I'll Be OK, Idol, India.Arie, London, Lupe Fiasco, Mapei, Maya Jane Coles Remix, Monica, Monthly Playlist, Netherlands, Nobody But You, Old School Love, Pablo Nouvelle Remix, Playlists, Purpose, Rapper, Recovery, She's On Fire, Singer, SOB's, Stockholm, Sweden, The Addict, The Hobbit: The Desolation of Smaug, Venlo, What Happened on February 9, 2014 by Hauke. Music added to Mapei, Weekly Posts and tagged Acoustic, Don't Wait, Mapei, Rapper, Singer, Stockholm, Sweden on January 25, 2014 by Hauke.